Our next social event will be “A Royal Celebration@Striders”. This will be held on Saturday 19th May (same day as the Royal wedding) at Knaresborough Cricket club. Further information to follow soon! The Annual General Meeting was held on Tuesday 20th March. Minutes of the meeting can be found here. Where on earth has March gone? The month of March has certainly gone quick and with some rather unseasonal weather there has been a number of running events cancelled (and hastily re-arranged) but that hasn’t stopped Striders heading out and clocking up some great times at a number of different events. We start our March round up with results from a very snowy Harrogate parkrun on 3rd March. 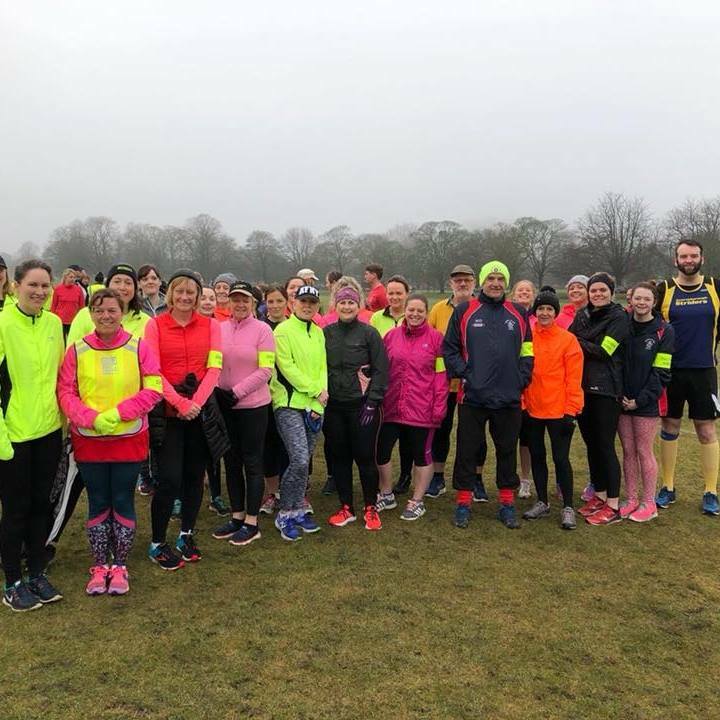 The first Saturday of the month saw the vast majority of parkrun events getting the chop due to bitterly cold weather but luckily for the eight Striders in attendance the Harrogate event was able to proceed. Donning their trail shoes for 3 laps of the Stray were Tom Calvert (20:15), James Wright (22:45), Dan Foley (23:22), Sean Brennan (23:38), Nicola Carter (25:38), David Halladay (27:51), Mark Taylor (28:48) and Mark Shelton (30:09). The snow had gone by Saturday 10th March but conditions were wet (an understatement!) for our Zero to Hero course graduation (and Striders takeover) at Harrogate parkrun. With a fantastic team of volunteers in place to help guide them round, we broke the record for the largest number of Striders running at a parkrun event – a massive 36 (and we think a few more that weren’t registered as a Strider on the system)! The results were Dan Foley (22:38), Jez Wilkinson (24:39), Nicola Carter (27:57), David Halladay (28:29), Steve Wakeham (29:28), Vicki Gibson (30:35), Michael Dobson (31:34), Tracy Allison (31:40), Paul Heywood (32:06), Jessica Dobson (32:51), Charlotte Hutchinson (33:24), Jane Johnson (33:36), Mark Taylor (33:51), Dawn Richardson (33:59), Linsey Rowbury (35:30), Joanne Exley (35:32), Rosy Thomas (36:16), Claire Griffiths (36:22), Katherine Taylor (36:39), Joanne Wakeham (36:53), Gail Beaumont (36:57), Rachel Beadle (37:05), Dawn Johnson (37:28), Kirsty Minshall (39:28), Joanne Sharratt (40:46), Edna Wood (40:46), Lucy Shore (40:53), Bill Kirkpatrick (40:54), Lucy Chandler (41:18), Joanne Tremble (42:40), Mark Shelton (42:54), Rachel Boyd (46:10), Ruth Mann (48:12), Lauren Downs (48:13), Louise Buck (48:13) and Gaynor Downs (48:14). Photos of our takeover can be found here. Avoiding the Stray mud at Fountains Abbey were Rebecca Williams (32:27), Deborah Goldfield (32:28), Danielle Harper (36:12) and Jayne Close (36:25). The sole representative at Wetherby was Anthony Everitt who clocked a time of 33:12. The latest club championship event was at Dentdale 14 (also on the Saturday) with Tom Calvert leading the way for Striders in a finish time of 01:28:06. He was followed on the undulating course by Dave Christie (01:34:28), Stephen Morland (01:46:16), Ian Waller (01:48:48), Phil Cornforth (01:54:51), Ste Core (01:57:21), Claire Baxter (01:58:00), Gary Wilkinson (01:58:51), Nikky Christie (02:17:20) and Laura Wilmshurt (02:49:32). Julie Elmes took on the 7 mile event, coming across the line in 01:19:12. Following in the Brownlee Brothers footsteps….or maybe bike wheels! I (James Wright) visited the Brownlee Brothers triathlon centre in Leeds on Friday 16th March for the first in the 2018 Leeds 5k race series which is ran on the bike track at the centre. The course is a fairly flat, tarmac surface which is ideal for this time trial type event. I bagged a time of 18:39 and can highly recommend the series which sees an event held once a month until November. There is also to be a series in York, based at the University of York Heslington campus – further details here..
Dry but windy conditions were encountered at Harrogate parkrun on Saturday 17th March. The course was able to be run on its ‘normal’ route for the first time in a while and leading the way for Striders was Sean Brennan (21:44). Mark Taylor (22:58) was next back just coming across the line in front of Nick Wallen (26:12). Mark Shelton (26:49), David Halladay (30:40), Jen Carne (33:59) and Emma Hall (39:19) completed the Striders line up. Roundhay was run on its ‘B’ course which takes runners on a multi lap tour of Soldiers Field. For anyone that has done the Peco Cross Country event there, you will understand how boggy it is! Taking on the mud were Claire Baxter (27:53), Annika Mcdonald (33:48), Louise Buck (54:43) and Ruth Mann (54:44). Calmer conditions at Fountains Abbey enabled Tom Calvert to clock a speedy 17:49 and he was joined by Michael Dobson (29:24), Edna Wood (29:44), Gaynor Downs (34:48), Lauren Downs (37:08) and Joanne Sharratt (37:49). Five Striders headed over to the Lake District for the Cartmel stop off in the Lakeland Trail Series. Taking on the 18k event were Phil Cornforth (01:38:44), Ian Waller (01:39:14), Nicola Carter (01:45:43), Janet Morris (02:44:12) and Steve Morris (03:10:09). Massive respect ladies and gents in the face of ‘testing’ conditions (wind, rain, snow, etc.) both in the race and for the travel back to North Yorkshire! This Saturday provided some Spring like conditions at last and Striders took advantage by visiting 10 different events. On Saturday, it was perfect conditions for parkruns across the Yorkshire area. Up the A1 in Catterick Paul Heywood clocked 23:57 and was followed by Edna Wood just over 5 minutes later (29:02). Not far away at Northallerton, Sean Brennan completed the multi-terrain parkrun in 22:21. On the Stray, Stephen Morland finished in 20:20 and was joined by David Halladay (26:15), Julain Carr (28:24), Anthony Everitt (29:15), Michael Dobson (29:16), Tracy Allison (31:20), Joanne Gray (36:56), Joanne Sharratt (38:34), Ruth Mann (48:30) and Louise Buck (48:32). Fountains Abbey hosted the visit of five Striders with regular visitor Tom Calvert once again taking the 1st place finished token with a time of 17:22. Claire Baxter achieved a PB in 23:07 and was chased down by Rachel Beadle (33:35), Bill Kirkpatrick (35:38) and Maria Broadhurst (36:38). At the new(ish) parkrun at Heslington (York), Ian Mitchell was the sole Strider representative and finished in 21:18. Saturday also saw the annual Coniston 14 mile event in the Lake District which was taken on by Georgina Townsend. From experience I know how stunning this race is – the hills are soon forgotten about when you make the turn at half way and look back at some of the best scenery in the UK. Georgina completed the primarly road based course in 02:07:18. The Lightwater Valley 10k was re-arranged for Saturday after postponement earlier in the month. Lisa Harrison crossed the line in 53:31, with Dawn Richardson following in 01:06:56. Sunday had Striders represented at three events. Tom Calvert continued his London Marathon preparation with a 20 Mile race at Hull (which had been cancelled on the 18th) in a finish time of 02:10:12. Down in London, I took part in the inaugural London Landmarks Half Marathon. This was on a fantastic course right through the centre of London – starting at Pall Mall and finishing outside Downing Street, taking in many of the well-known landmarks along the way. On a slightly long course (13.4 miles) I bagged a time of 01:27:08. A race that I can highly recommend to get in your diaries for 2019! Also taking on an inaugural event, Stephen Morland, David Halladay and Joanne Gray completed the Dishforth 10k. This was run on the airfield at the RAF base, giving a nice flat surface to race on. Stephen came across the line in sub 40 (39:32), David clocked 47:06 and Joanne recorded 01:15:27. These will be my last results write up before I hand over the Communications Officer role to Stephen Morland….so any complaints on missed results can go to him now! June Graham and Katie Gray, two of our members who are also members of the Claro Orienteering Club, are holding an event on Wednesday 7th March at 6.30pm starting and finishing at the Knaresborough Cricket Club on Aspin Lane. June and Katie would like to invite any Striders who may be interested to go along. There will be a mass start, which will involve a 45 minute run/walk around the streets of Aspin and Eastfield to find and record the numbers of as many lamp posts as marked on the map. The event is suitable for all ability levels and beginners are highly encouraged and welcomed. There will be experienced members organising and running who will be happy to explain everything and answer any questions you may have. Please note under 16s must be accompanied by an adult. You should arrive between 6.15pm and 6.25pm for the 6.30pm start. If you intend to come along it would be very helpful if you would email June (junegraham1961@gmail.com) to ensure enough maps are printed. We hope you join in for a fun evening and a chance to try something new! Jo Gray, one of our members, is setting up a prison Parkrun and would be really grateful if any Striders could donate any unwanted trainers (in reasonable condition) from size 5 upwards – especially male trainers. Prison Parkruns are a new initiative for Parkrun. It is an exciting venture where there are not only opportunities for running but for volunteering too. These are skills that are transferable to the community and will support a reduction in re-offending. If you want to see more information about this please visit the Parkrun website (http://www.parkrun.org.uk – see blog). If you have any trainers you are willing to donate please bring them along to club nights on Tuesday or Thursday this week for Jo to collect and put to good use. Any donations will be greatly appreciated by Jo. 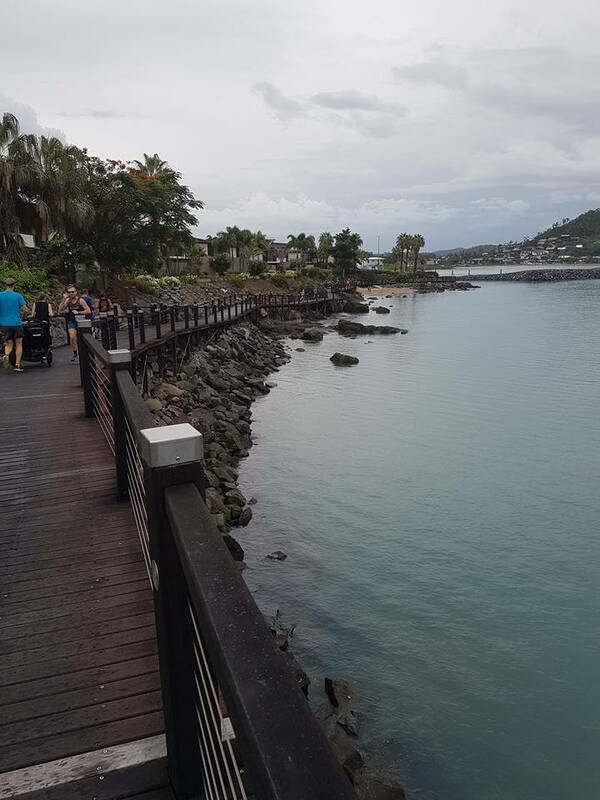 In our latest round up we have news from parkruns around the region (and Australia! ), the latest club championship event at Liversedge, undulating miles at Harewood and meet ups with a 5 times Olympic champion (and some bloke from Emmerdale). Intrigued….you should be! So let’s get on with it – we start with parkrun results from Saturday 10th February……. So why are the two places different? Well it’s the surface the parkruns at those locations are run on (you all thought something else didn’t you?!). On the compacted track at Pontefract Racecourse, parkrun regular Annika McDonald bagged a time of 30:42. At Harrogate, the cross country conditions on the grass around the Stray were energy zapping for the eight Striders in attendance. Dan Foley led the way (20:43) and he was joined by Ian Mitchell (22:57), David Halladay (25:40), Nick Wallen (25:54), Rob Earl (27:53), Mark Taylor (30:04), Alison Jackson (37:24) and Louise Buck (49:21). Jason Green is becoming a Skipton parkrun regular (possibly to do with the fact her has recently moved to the area!) and on this occasion stopped the clock on 23:35. At Fountains Abbey, Tom Calvert (17:19) once again was the first Strider up the final hill, setting the pace for the other 10 Striders in attendance. Nimah Falconer (22:45) was the first of the chasing pack back and following her were Nicola Carter (23:56), Derek Calvert (25:08), Tony Everitt (28:32), Tracy Allison (29:14), Gaynor Downs (32:20), Lesley Nicholson (32:47), Edna Wood (32:47), Andrew Nicholson (33:19) and Lauren Downs (36:44). 1km loops for 2 hours……fun they said……!! The Bloodaxe Challenge was a new event for 2018 (held on Sunday 11th February) held in conjunction with the Yorvik Viking Festival in York. So what was the challenge? Well you had two hours to run as many 1km loops of the York University cycle track as you could……and Claire Baxter was the only Strider mad enough to take the challenge on! She completed 23 laps in a total time 02:03:01 – you must have been dizzy after that Claire! 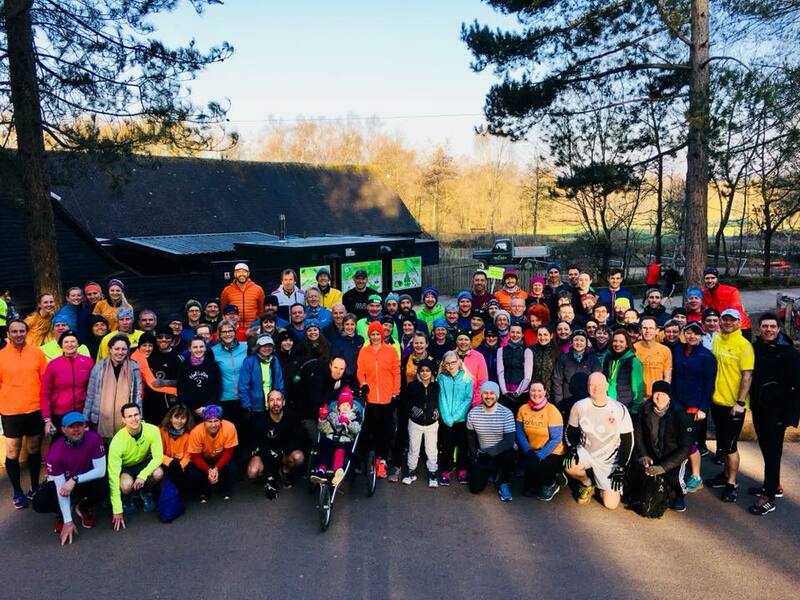 I believe a new Striders record was set on Saturday 18th February – the most parkruns visited by Striders members on one day. 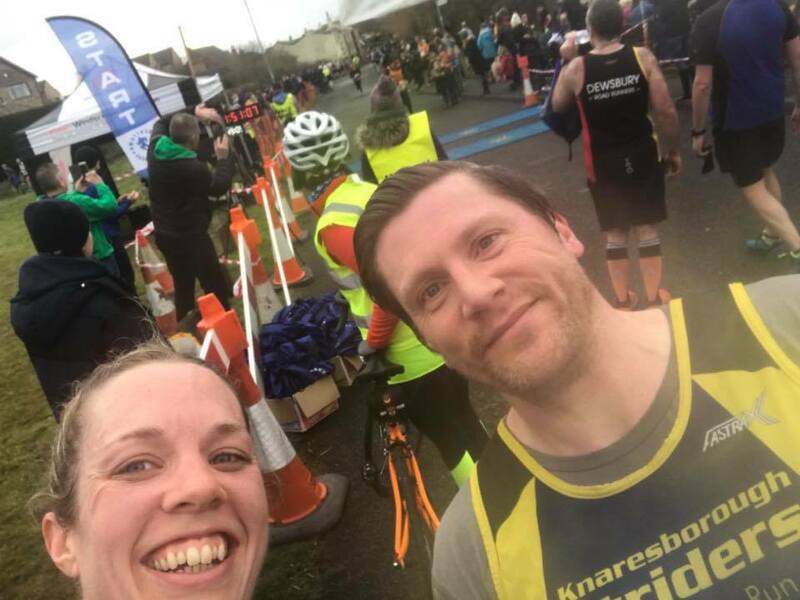 A total of 8 different venues were ticked off and we start up the A1 at Catterick where Mark Shelton and Emma Hall made their 2nd visit to the racecourse based event, recording times of 26:46 and 35:05 respectively. Not a million miles away from Catterick, Georgina Townsend took on the multi terrain Northallerton event. She helped to pace her frined around the course, finishing in 34:38. Craig Mitchell headed over to the East Coast to the cliff top parkrun at Sewerby, completing the course in 23:19. Nicola Carter headed in the opposite direction to Craig, going West to Lancaster. 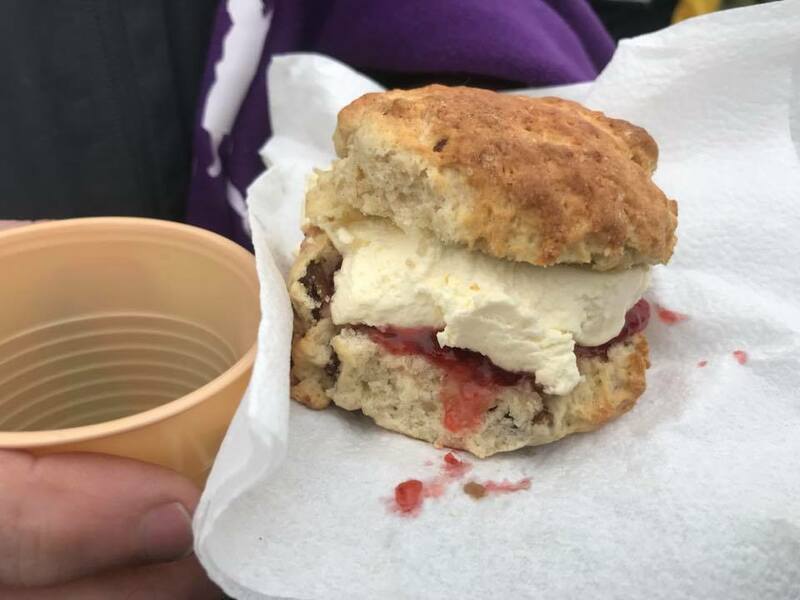 Dissapointingly the parkrun doesn’t share the sme venue as the local football team who play their games at the ‘Giant Axe’ – what a name for a sporting venue! Despite this disappointment (ok so maybe it’s just this report writer that’s disappointed), Nicola clocked a time of 27:17. Temple Newsam, probably the most undulating parkrun in Yorkshire, greeted Annika McDonald and she flew into the finish funnel with a time of 31:42. Skipton once again welcomed Jason Green, where he was led by his dog for a time of 23:02. Harrogate, currently known as the ‘cross country parkrun’, was taken on by five Striders. The Morlands were the first Male and Female Striders across the line – Stephen clocking 21:07 and Catherine recording 25:36. Nick Wallen wasn’t far behind in 26:04 and he was joined by Rob Charlesworth (30:29) and Joanne Gray (37:15). A damp Fountains Abbey didn’t put off six Striders visiting the World Heritage site. The 1st place finish token was taken by our own Tom Calvert (17:37) and he was chased down by James Wright (19:31), Dan Foley (20:09), Nimah Falconer (22:07), Derek Calvert (23:50) and Fiona Slight (29:17). 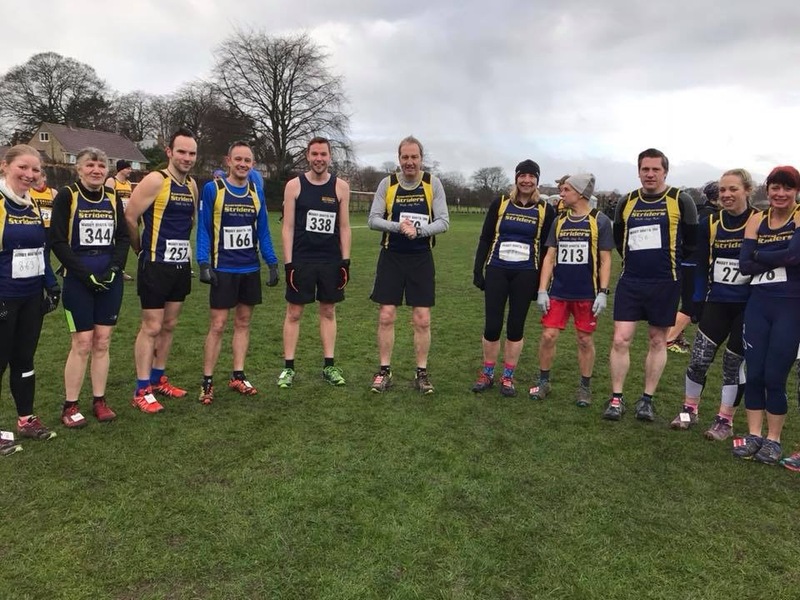 The quote for the title above was from Martin Brock, who along with Gary Wilkinson and Claire Baxter, completed the 2nd Club Championship event of 2018 – the Liversedge Half Marathon. The course was brutal to say the least with Martin finishing in 01:28:36, Gary in 01:44:38 and Claire in 01:46:33. Apparatnly the cakes afterwards were worth the pain of the hills – always a bonus. Maybe we should bring cakes for after those Castle Ings hill sessions with Eric?! Talking of hills, the Ilkley Fell Race was also held on Sunday 18th. This annual race is a gruelling challenge but year after year attracts a bunch of hardy souls to go up and down the fells around Ilkley. Sean Brennan completed the course in 58:09, Amy Naylor came across the line 01:07:23 and fell running regular Sue Morley finished with a time of 01:12:15. The last Saturday of February saw Striders visit five parkruns in total – with two of these outside of England. 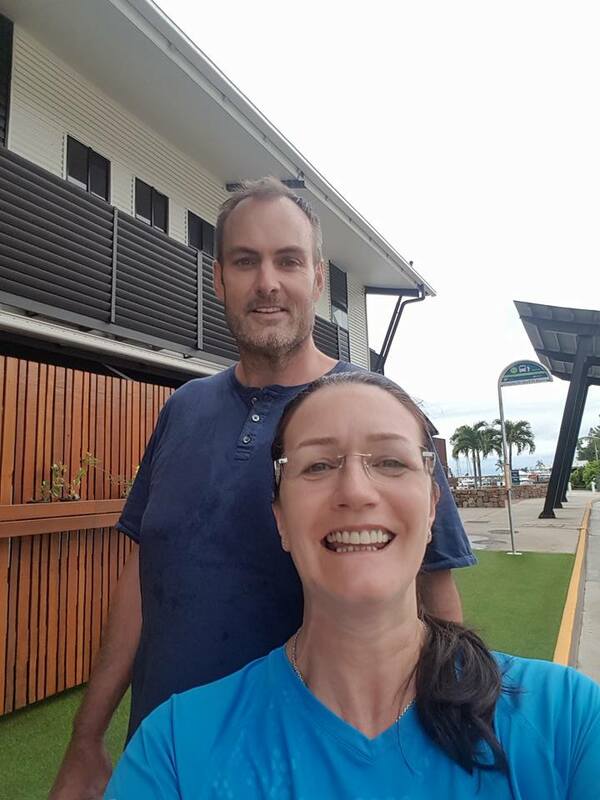 Two of our Zero to Hero course members – Andrew and Lesley Nicholson – are currently in Australia and visited the Airlie Beach event which is on the East Coast near the Whitsunday Islands. They both came across the line in 37:45. Joanne Gray headed over the Irish sea to visit Portersdown, finishing in a time of 35:08. A very muddy Harrogate parkrun welcomed eight Striders and they were led home by Stephen Morland (20:53). He was joined on the Stray by Nicola Carter (23:26), David Halladay (23:37), Catherine Morland (25:46), Nick Wallen (25:58), Fiona Slight (28:57), Emma Hall (37:42) and Louise Buck (46:24). There were just two Striders at the usually popular Fountains Abbey. Claire Baxter recorded 27:14 on her 2nd visit to the event and Georgina Townsend came across the line in 30:12. 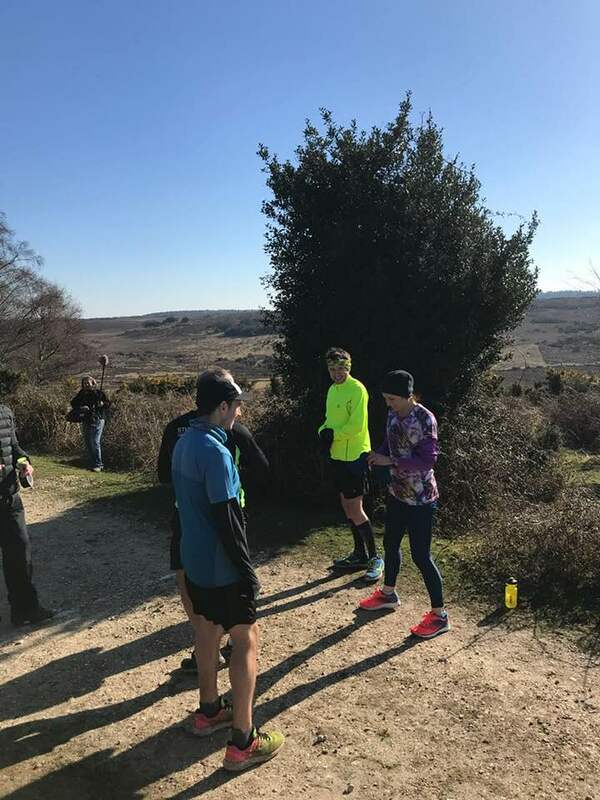 Down South in Dorset, Tom Calvert and James Wright visited Moors Valley parkrun as part of the ‘Marathon Talk Run Camp’, recording times of 17:31 and 19:41 to kick off a weekend of running in the stunning New Forest. More on the run camp later…. Sunday was a popular day for races, with Striders represented at four events. Harewood House was the venue for two of the events – both of which were run to raise money for the British Heart Foundation. The 10km event was taken on by Lisa Harrison (51:51), Vanessa El-Etriby (52:11) and Dawn Richardson (01:02:45). In the half marathon, David Halladay (01:54:47) led the Striders pack and was joined by Georgina Townsend (02:06:00), Amy Naylor (02:08:26) and Deborah Goldfield (02:35:27). Regular eventer Claire Baxter completed her longest race to date – the 20 mile Slaithwaite Slog. She completed the mainly trail event in 03:10:28. In Pocklington, East of York, Clare Mckenzie completed the Snake lane 10 mile event in 01:51:06. Sandy Balls…it’s the name of a holiday village honest! As mentioned earlier in this report, Tom Calvert and myself (James Wright) travelled down to Dorset for a weekend of running at the Marathon Talk Run Camp, which was held at the delightfully named Sandy Balls holiday village. For those that haven’t heard of it, ‘Marathon Talk’ is a weekly podcast that discusses all things running. The yearly run camp is held to bring together some of its most avid listerners for a weekend once a year. This year’s camp started with the Moors Valley parkrun, a Saturday afternoon interval session, a Saturday night Q&A with five times Olympian Jo Pavey, a quiz hosted by Emmerdales Bob and a Sunday predicta 10 mile run. The presence of Jo Pavey (look her up on google if you don’t know what she has achieved) was a fantastic bonus throughout the weekend and I was lucky enough to be in her group for both the Saturday intervals session and the Sunday 10 Miler. Lining up on the start line in a group of just three (there were numerous start times based on your predicted finish time) plus Jo on the Sunday morning was a once in a lifetime moment. I was able to stay in front of her for the first 1.5 miles up some decent hills (I’d like to think I paced her!) before she showed her speed and blasted off into the forest once we got to the flat stuff! A great weekend that is highly recommended – get it on your wish lists of events for 2019! Hopefully this snow will disappear soon and i’ll catch up with you all at Striders sessions next week. Due to the continued inclement weather, an early decision has been taken to CANCEL Thursday (01/03/18) nights session. This cancellation is across all groups. We hope you all understand the decision taken and we look forward to welcoming you all back to the club on Tuesday 6th March. Tonight’s Striders session has been cancelled due to the inclement weather currently forecast. This cancellation encompasses all run groups apart from Eric’s structured session. The structured session will be held on the grass at the cricket club and is open to all. Please bring appropriate shoes for the conditions on the field. Results – we should be up to date now! This latest round-up has news of Striders visiting a new parkrun, splashing around the fells in Stanbury, trekking up the hills at Temple Newsam, getting absolutely brass monkey at a half marathon, getting muddy at cross country, using torch lights in Dalby, fighting against 20mph winds near Holmfirth and getting some very muddy boots in Ripon. Heslington parkrun became the 2nd parkrun in York (soon to be joined by a 3rd) and attracted over 500 participants to its inaugural event, including 7 Striders. Nicola Carter was the first of the Striders clang across the line, completing the flat course in 20:55. Gary Wilkinson was the first of the Striders gents back, recording a time of 23:59, followed by Jen Carne just over two minutes later (26:01), Mark Shelton (28:31), Edna Wood (29:37), Emma Hall (35:41) and Jo Gray (37:18). At Harrogate, Dan Foley (21:01) led the way for the Striders in attendance. He was joined on the Stray by Rob Earl (21:54), David Halladay (24:17), Ian Mitchell (26:58), Anthony Everitt (30:16), Gaynor Downs (33:25), Tracy Allison (37:29) and Lauren Downs (38:58). On Sunday the 14th, the temperatures were absolutely in line with the name of the first major event of the local running calendar – the Brass Monkey Half Marathon in York. Six Striders ventured out into the cold to take on the popular event, with Guy Close taking his good form from 2017 into the start of 2018 with a PB time of 01:22:44. James Wright was next (01:28:54), followed by a PBing Sean Brennan (01:37:31). Gary Wilkinson looked strong with a finish time of 01:51:57 and he was followed 4 minutes later by Claire Killingworth (01:55:52) and recording a massive PB was Natalie Hale (02:01:15). In the fells, James Warburton and Sur Morley battled the elements to take on the Stanbury Splash race. James completed the course in 54:30, with Sue recording a time of 01:17:44. The 3rd running of the undulating and multi terrain Temple Newsam Ten (TNT) was taken on by three Striders. David Halladay clocked a time of 01:23:02 and was joined by prolific racer’s Claire Baxter (01:26:04) and Dawn Richardson (01:57:40). The weather on Saturday 20th saw the cancellation of the majority of parkruns in the local area but Wetherby hung on in there and was visited by three Striders. Tom Calvert completed the 3 lap grass course in 19:09, followed by Dan Foley (20:50) and James Wright (21:26). The 4th race of the Peco Cross Country 17/18 series was held in South Leeds at Middleton Park on the 21st. Steven Morland completed the 4.5 mile course in a time of 36:00 to lead the Striders group of 12. Sean Brennan was just 22 seconds behind Stephen (36:22) and he was joined at the event by Sima Lowery (38:59), Ian Mitchell (43:02), Amy Naylor (43:11), Sue Morley (44:46), Lisa Harrison (47:59), Paul Heywood (48:51), June Graham (49:35), Debbie Goldfield (51:02), Edna Wood (54:12) and Laura Wilmhurst (59:49). The weather on Saturday 27th was much better than the previous “parkrun day” which encouraged 14 Striders to head to one of the local 5km events. At Harrogate it was very much a cross country course, with Rob Earl (22:42) the first club representative across the line. He was joined by David Halladay (24:16), Mark Shelton (29:33), Fiona Slight (30:13), Tracy Allison (32:52), Andrew Nicholson (34:28), Lesley Nicholson (36:03), Joanne Gray (36:53), Emma Hall (38:10) and Louise Buck (48:22). At Fountains Abbey, Tom Calvert (17:31) lead from start to finish to take the 1st place finish token. Running with him were Derek Calvert (24:19), Ruth Bowen (34:35) and Bill Kirkpatrick (34:42). Ian Mitchell headed over to York for the Heslington event and finished with a time of 20:55. Also on the Saturday, Striders took on two race events – the Northern Cross Country championships and Dalby Forest Night Run. At the cross country, which was held at Harewood House, Sean Brennan was the sole Striders representative and completed the 7.2 mile course in 01:00:41. At Dalby, 4 Striders donned the head torches to complete this intriguing event which Nicola Carter took in her stride to be the first Strider into the finish area by completing the course in 43:14. She was joined by Gary Wilkinson (48:30), Paul Heywood (01:02:22) and Edna Wood (01:02:28). On Sunday 28th Claire Baxter visited the Holmforth area to take on the Meltham 10k. This is an undulating course and the high winds made it even tougher for Claire. She battled the elements to finish in a time of 50:32. For the first Saturday of the month, Striders were represented at five different parkruns. Up at Catterick, it was a Striders one-two with Tom Calvert hitting the line in 17:19 and Guy Close following in 17:32. Joining them at the racecourse based event were James Wright (19:37), Ian Mitchell (20:34), Jen Carne (27:36) and (Mark Shelton 27:37). Along the M1 at Temple Newsam, Ralph Weldon and Annika McDonald took on one of the hilliest parkruns in Yorkshire. Ralph completed the 5km in 28:41 and Annika finished in 36:32. At the muddy Skipton event, Jason Green recorded a time of 23:35. Fountains Abbey welcomed four Striders – Claire Baxter (24:41), parkrun first timer Vanessa El-Eltriby (27:01), Gaynor Downs (32:58) and Lauren Downs (40:07). And rounding up the parkrun results, Tony Everitt and Tracy Allison made the short trip to Wetherby and finished with times of 30:37 and 33:19 respectively. Sunday = a day of rest…..not if you are a Strider! Ste Core headed across the Pennines to Manchester to take on a Half Marathon through Heaton Park. He achieved a PB over the distance, finishing in a time of 01:37:26. The Muddy Boots 10k, which acted as the first club championship event of 2018, was taken on by 18 Striders. The ever improving Dan Foley led home the Striders contingent through the mud to finish in a time of 42:54. James Ireland chased him down (43:29) and was followed by Stephen Morland (44:21), Ian Waller (44:45), Nicola Carter (46:46), Gary Wilkinson (47:51), David Halladay (48:27), Craig Mitchell (50:24), Claire Baxter (52:22), Sue Morley (54:11), Derek Calvert (54:12), Paul Heywood (57:37), Lisa Harrison (58:22), Anna Cornforth (59:57), Kez Welsby (01:03:41), Edna Wood (01:03:58), Katie Gray (01:09:18) and Laura Wilmshurst (01:12:31). Due to the current weather conditions and forecast for the next few hours, a decision has been made to cancel tonight’s Striders session. Our number one priority is safety and with the paths and roads currently wet and likely to freeze over shortly, the safest option is to cancel the session. This cancellation effects all groups – Zero to Hero course included. We hope you all understand the reasons for cancellation and we look forward to seeing you at Striders in Tuesday.